It has no significance other than I think it's a good picture with an Apple in it. 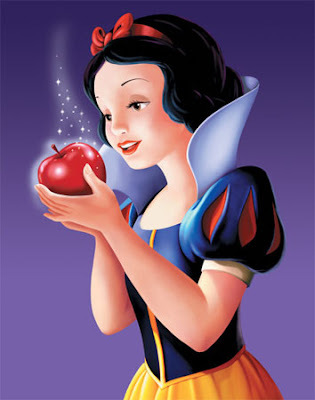 I'm sure the artist did this unintentionally, but I like how the apple in Snow White's hand appears almost heart shaped. I wasn't able to find out exactly where to credit this picture to. Hmm, that's actually the best Snow White picture I ever seen, good find. I like it almost as much as the logo for my Disney blog - a very special picture of Mickey. This is indeed a beautiful picture and I really love how this blog will put these little pieces in. 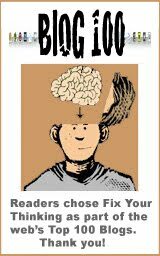 In fact, FixYouThinking has inspired me to come up with a little feature for my own blog, "Pict-4-the-Week." 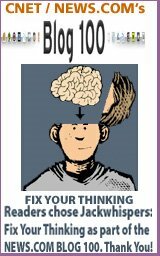 Thanks FixYourThinking, this site has inspired me, in many ways, to improve my own little blog. 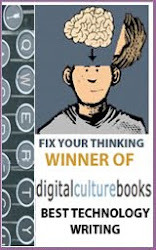 I just hope this 'latest' inspiration from FixYourThinking will be enjoyed by all two readers of my blog. Feel free to use any of the pictures I have here on my blog.